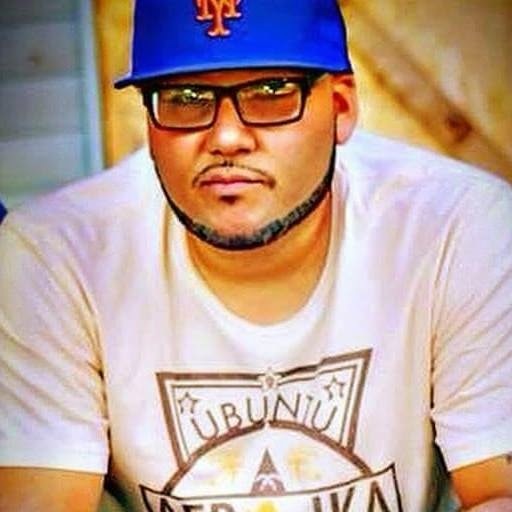 This morning I learned the devastating news that Kevlaar 7, a master lyricist/producer with the Wisemen from Detroit, died this past Tuesday from complications related to a blood disorder. He was 37 years old. Kevlaar was one of my favorite hip hop artists of all time, a poet with a magnificent gift for stringing together intricate and inspiring bars who was also a highly talented producer. He was also a friend. A lighthearted, down-to-earth, humble and extremely intelligent person, Kevlaar would often reach out directly to his fans (I'd just had a text message convo with him a few weeks ago). A beloved friend to many, he was a proud father of two children who he frequently posted about on Facebook and mentioned in songs. He even included a clip of his young daughter saying "I'm learning, daddy" on a track from his first album, and put an image of his son on the cover. In this blog's five-year history, I've spilled many words on the work of Kevlaar 7. The first piece I ever officially published was a review of Kevlaar's EP Who Got the Camera? for Slant Magazine. He and his younger brother, the Wu-Tang affiliated emcee/producer extraordinaire Bronze Nazareth, have brought an unparalleled approach to their craft and quickly became my favorite contemporary artists, of any genre. Unfortunately, during his career Kevlaar's work was relatively slept-on and underrated for such a great talent. A poet with a vast perspective, his verses were often inlaid with hints of his words living on and inspiring listeners long after his death, hence the title of his first album Die Ageless. When I heard the news this morning, I had an immediate physical reaction. My heart sunk into my stomach and my hands were shaking. It was complete shock. Kevlaar had always been an active voice not only through his music but through social media, regularly posting articles and news throughout the day. I learned a great deal from him. He had a passion for science, especially astronomy, and was a strong advocate for healthy eating through a plant-based diet. A friendly and irreverent person, he was loved by many. Despite his talents and reputation, he was an extremely humble and accessible guy. I could always rely on him to respond quickly to any text or e-mail. The thought of him being prematurely silenced by death just didn't seem possible. His energy seemed too powerful, too important, too necessary to possibly be taken away. In this tumultuous moment in history, we need poets of perspective like Kevlaar. I feel deeply saddened, a heavy depressing gravity in my chest when I ponder proceeding into the future without Kevlaar 7 actively supplying us with his inspiring gift. I've been a passionate fan of hip hop music since I was a young kid and once I learned about him (around 2006) there was hardly anyone whose work I looked forward to hearing as much as Kevlaar's. A new piece of music from Kevlaar 7 would always be devoured; played over and over again to catch the wordplay, double entendres, and mesmerizing flow. I can remember a conversation with him a couple years ago where he declared to me that his confidence in his artform was as strong as ever. He felt he could step on a track with any emcee in the world and shine, commanding respect and admiration. I'm convinced he was as good as anyone out there, an individual embodiment of the cutting edge in lyrical hip hop's evolution. If that sounds like hyperbole, I suggest reading some of the analytical pieces I've written about his verses. In loving memory and reflection on the life of Kevlaar 7 (real name Kevin Cross), I am including links here to the many in-depth pieces I wrote about his work. Rest In Peace Kevlaar 7!!! You will be sorely missed. An analysis of a track Kevlaar devoted to his deceased cousin. A thorough track-by-track review of Kevlaar's debut release. A very timely piece with meditations on the growing epidemic of police brutality. Album Review: Who Got the Camera? My first official published article, devoted to an important and far-ahead-of-its-time project. Re-plant This in Our Handbooks: A Look at the Modern Day Hip Hop Rendition of MLK's "I Have a Dream"
A line-by-line breakdown of one of K7's most impressive tracks, written in a verse which parallels MLK's most famous speech. "I have a dream today that the devil vanished/ re-plant this in our handbooks/ teach our children the answers." Discussing their work and their album Children of a Lesser God. A lengthy track-by-track review of his most important album. Reviewing his last full-length project. I'm sorry to hear this, PQ.